There have been calls for an end to the increasingly controversial pub crawl known as the “12 pubs of Christmas”. The popular seasonal pastime, in which thousands of people across the country now participate, involves having a drink in 12 different pubs – usually while wearing a Christmas jumper. The chief executive of of Meas (Mature Enjoyment of Alcohol in Ireland Limited), Fionnuala Sheehan, says her organisation has decided to call time on supporting the tradition out of concert for public health. “We want to get the message out so that the individuals themselves think about whether they engage in this activity and licensees to be vigilant themselves in relation to it,” said Ms Sheehan. She pointed out that licencees could not by law serve anyone already drunk. 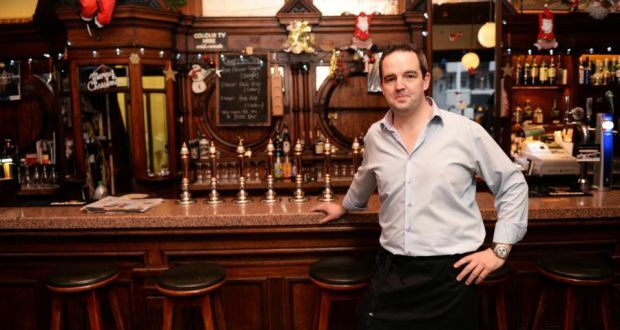 Joe Barry, professor of population health medicine at Trinity College Dublin, said the 12 pubs bar crawl was a cause for concern. “If somebody goes out to 12 pubs and gets drunk they’re going to cause themselves problems and cause hassle for their fellow citizens. The chances of someone ending up in A&E increases when they go out to 12 pubs and drink in each one. If they drink 12 drinks and they don’t get drunk then they have serious problems because their livers are going to pack up,” said Prof Barry. The Swan Bar on Dublin’s Aungier Street, owned by Ronan Lynch, is one of a number of city centre pubs who oppose the bar crawl. Lynch and his father Seán Lynch co-own the Swan, which has been in operation since 1937. “My grandmother advised me that when you’re running a pub, you should treat it like a party in your front room,” said Lynch. He pointed to a drinking culture that differs between the older and younger generation and a failure by some young revellers “to understand pub etiquette”. “I’m not tarring everyone with the same brush but it is typically the older generation who can come in, sit down, have a chat and have three or four drinks. “A problem with the younger generation now – and it’s not all of them – is that they aren’t used to this way of drinking in a pub. Getting drunk is the end game for many and that ties in with the 12 pubs.